The Law School Admission Test (LSAT) is a standardized test required for admission to all law schools approved by the American Bar Association. It is sponsored by the Law School Admission Council (LSAC), and it is meant to test reading and verbal reasoning skills. 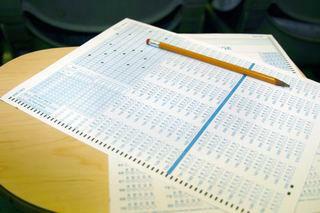 The LSAT test is administered four times a year: June, October, December, and February. The test is scheduled on Saturdays, but there are alternate weekday testing dates for those observing the Sabbath, provided they submit a letter from their rabbi or minister confirming their religious observance. With hundreds of locations around the world, you should be able to find a conveniently-located testing site. However, if you live more than 100 miles from a posted test center, you may ask the LSAC to establish a testing site in your area. There will be a substantial additional cost when registering. Students can register online, by phone, or by mail. The LSAT registration fee is currently $118, with an additional $60 cost for late registration. Fee waivers are available for those students demonstrating extreme financial need. The LSAT test is made up of five multiple-choice sections containing three types of questions and an unscored written portion. You will have 35 minutes to complete each section. The reading comprehension portion of the test presents four passages followed by five to eight questions related to the material. Questions may ask for specific information given in the prompt, concepts like the main idea of a passage, or literary techniques like the author's tone. Analytical reasoning questions ask test takers to identify relationships and draw logical conclusions based on these relationships. The given relationships can be fixed or variable and may involve assignment, ordering, or grouping, or be spatial in nature. To test your logical reasoning abilities, the LSAT asks you to read a short passage containing an argument. You will then answer one or two questions related to understanding, analyzing, criticizing, or completing the argument. The writing sample is not scored. However, a copy of your response will be sent to all law schools receiving your LSAT scores. Law schools use these essays as a snapshot of your writing skills and reasoning ability. You will be randomly assigned one essay topic. There are two types of prompts for the writing sample, decision and argument. Decision prompts ask you to choose two positions or courses of action and then defend your choice using the data provided. Argument prompts present an opinion or analysis based on a set of facts and ask you to evaluate the validity of this position. Decision prompts are evaluated based on how well you support your choice while argument prompts are judged on the accuracy and depth of analysis. There is no right or wrong answer for any prompt. You can access sample test materials on the LSAC website. The Princeton Review provides a full-length practice test. When completing sample test items, pay as much attention to the reasoning behind the correct answers as you do to the answers. The creators of the test preparation materials often include larger test-taking strategies alongside the specifics for arriving at the solution to a particular logic problem. If you want more in-depth help, you may want to turn to a professional test preparation service. Kaplan and The Princeton Review are two popular choices for preparatory courses and individual and small-group tutoring.